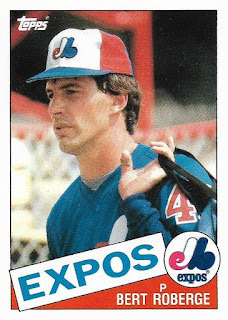 What a card: Bert Roberge arrived with the Expos after a trade on Dec. 7, 1984 in which Montreal sent infielder Bryan Little to the White Sox for Roberge. How'd that go: Pretty well. 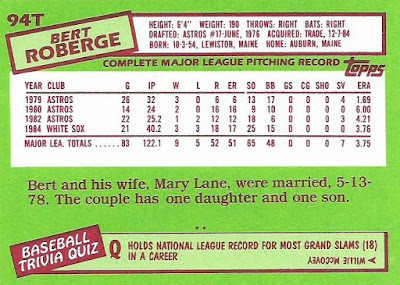 Roberge worked more in 1985 than he did any other time in his career, appearing in 42 games as a regular part of the Expos' bullpen. Backatya: Roberge has a very French name, which makes sense given that he's from Lewiston, Maine, which isn't all that far from Quebec. I'm not far from some far northern border towns like Chateaugay and Chazy and it seems like just about all the residents feature French-Canadian-sounding names. 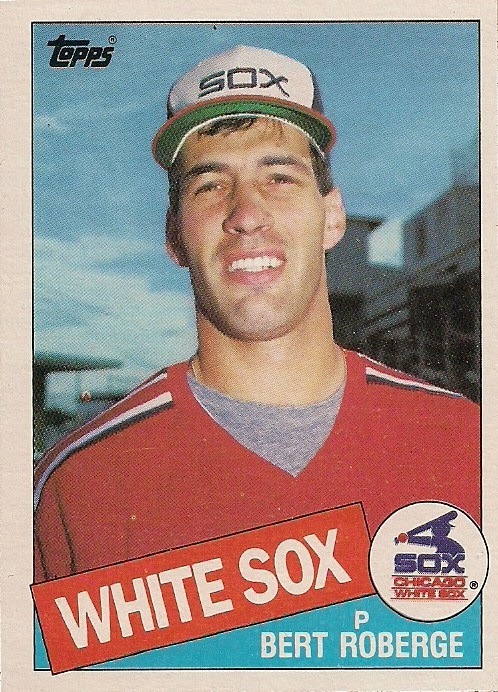 Back-to-back: I enjoy the Traded card quite a bit because it shows something that ballplayers do all the time but is rarely featured on baseball cards -- carrying their equipment. 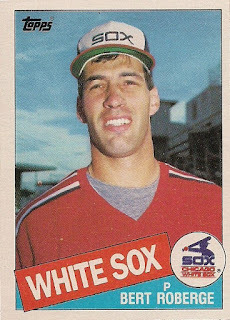 I'm not talking about just a bat or just a glove. No player has just one bat or just one glove. I'm talking about BAGS with HANDLES to carry all of their STUFF. Players have STUFF. And they lug their stuff a lot. The equipment manager can't do it all. (P.S. : I need to do a post on this). 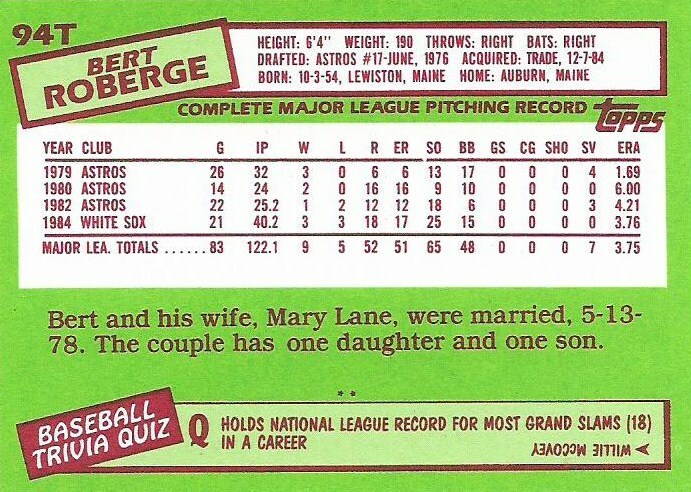 Roberge's flagship card is No. 388 in the set and was originally blogged on March 10, 2015.